Dance Lessons – Dance Vitality: Award-Winning Ballroom Dance! CHOOSE YOUR FAVORITE DANCE PROGRAM! Our team of instructors offers you private and group dance classes catering to all ages and levels of dance. From beginners to competition, and anything in between, we provide a warm and welcoming atmosphere where you will enjoy dancing and having fun during each of your lessons. We offer different programs including children and youth group lessons, private one-on-one sessions, elite competition coaching, and dance lessons for weddings and specials events. As experienced and accomplished 4X Canadian Ballroom Champions, we understand the hard work and sacrifices that go into competing at the highest level. We’ve made it our life’s mission to share this experience with you, and help you become the best dancer you can be. We offer one-on-one coaching for competitions and showcases, and can advise you on all areas of your performance, including choreography, training, technique, travel planning, and more. Call us for a chance to take your dancing to the next level! At Dance Vitality we offer group lessons, semi-private lessons, and social dancing programs that cater to all levels of dancing. Our adult lessons vary in content from day to day, in order to help you try and learn all styles of ballroom, rhythm and latin dance. Singles and couples are all welcome. Call us to learn about our adult programs! 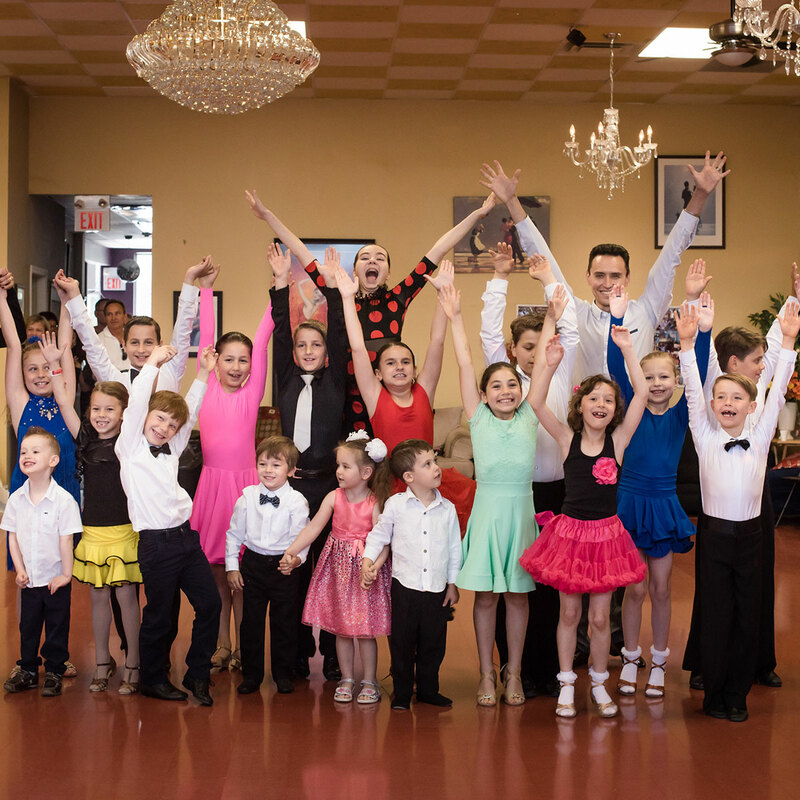 We love working with children and we have several programs that are fun, energetic and combine classes specially created to let your child explore several dance styles, get the taste of each, and gain excellent fundamentals of ballroom, rhythm and latin dance. Your child will develop confidence in moving his/her body, in addition to learning teamwork skills and self-discipline. Call us to learn more about our dance programs for children and youth! We are Canada’s Premier Wedding Dance Choreographers & Coaches. We love helping you and your partner, along with your family and friends, to create a magical and memorable wedding experience! Get ready to “WOW” your guests at your wedding! Call us today to book a complimentary private lesson and learn how we can help you create a memory that will last you a lifetime! Our Dance Vitality instructors are available for your next corporate or festival event. We love sharing our passion for ballroom dance with everyone and we've had the opportunity to work with some of the biggest names in the showbiz and entertainment industry including the cast of the movie “Shall We Dance,” Richard Gere, Jennifer Lopez, Lisa Ann Walter, Stanley Tucci, Omar Miller, Tony Dovolani (dance instructor and assistant choreographer); So You Think You Can Dance Canada (dance instructor and choreographer), “Take the Lead” movie with Antonio Banderas (dancer), and more. Contact us to learn more about our corporate events services! We pour our hearts and souls into sharing our passion for dancing with you, and to show you how much we trust in our work, we offer to refund your money if you're ever not satisfied. Your dance coaches have achieved the highest level including winning the Canadian Ballroom Championships and many other International competitions. We also work with renowned international choreographers. We craft your dance lessons to be as fun and rewarding as possible. We help you track your progress and go out of our way to help you find joy in dancing! Katia and Dima have given me back years of youth by teaching me how to move and dance all styles of ballroom. They are as passionate and fun about their dancing as they are about teaching and I’ve progressed faster than I ever expected with them. We are so impressed with Katia’s patience and dedication to teaching both of our children. They have gained so much confidence from every lesson and are having lots of fun in the process. I couldn’t think of a better decision for their future! My Wedding Dance was made so much more special by the Dance Vitality's coaching than our entire family expected. Our guests haven't stopped talking about how much fun they had watching and how impressed they were of our moves! CALL NOW TO BOOK YOUR DANCE LESSON! Dance Vitality is Canada's Leading Ballroom Dancing Studio & Award Winning Professional Dancers. 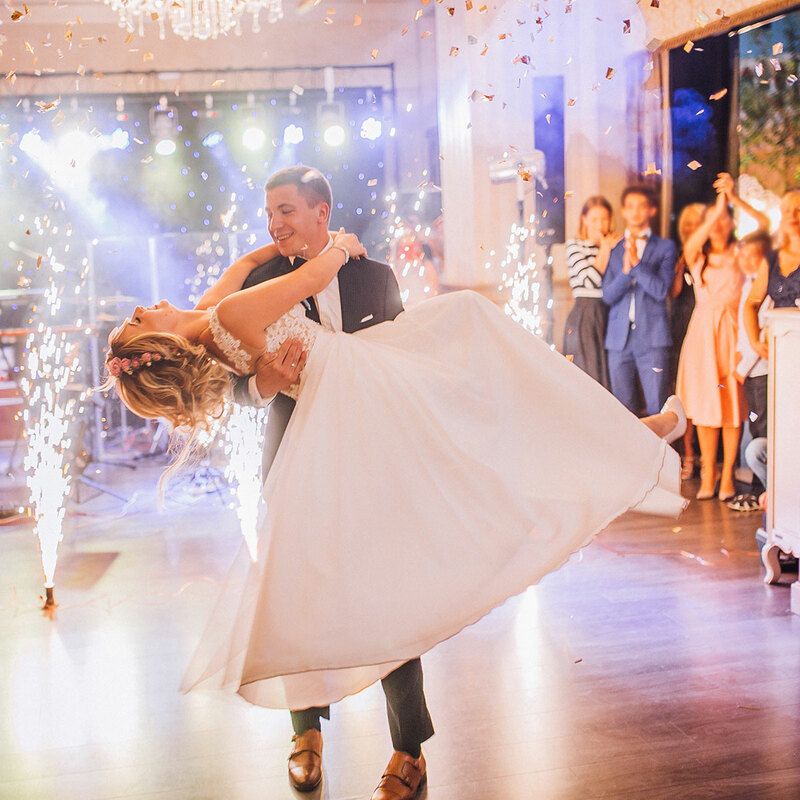 From Private Lessons to Social Dance Parties & Events, to customized Wedding Dance Programs, we are proud to be raising the standards of your dance coaching! Come dance with us at one of our convenient locations in Toronto, North York or Mississauga. Call us at (647) 895-8922 to book your dance lesson today!